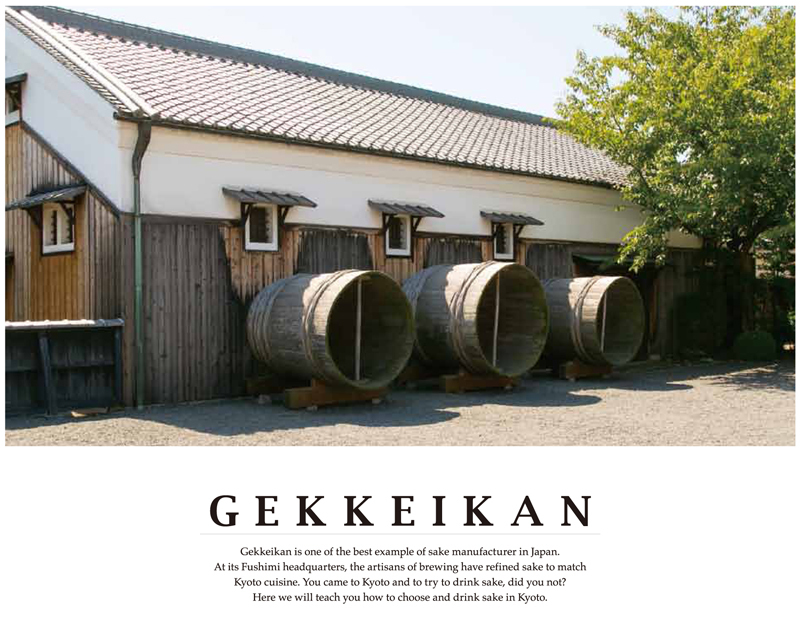 Gekkeikan was founded about 370 years ago in 1637. Since that, they has been making sake in Fushimi, which is famous for sake breweries in Kyoto. Fushimi is a place where people gathered as a post town and a port originally, and it was a land water is very clean and rich too. Therefore, as sake breweries business developed it became town of brewing, many breweries stood side by side. Sake is made to be drunk with food, and the best way to drink is together with the ingredients harvested in the local area, in the same way as wine. Not only Japanese food, but also French, Italian and Chinese also go well with sake, and the variety of combinations depends on the kind of ingredients, the place of harvest, food preparation methods and so on. It is one of the pleasures of traveling that you can try different taste of sake, and find your favorite type. It is appealing to say, "Let’s toast with sake" now in Kyoto, because of the rediscovery Japan’s traditional food culture. 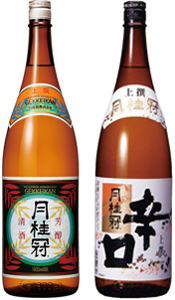 We recommend you drink sparkling, low-alcohol sake at the time of a toast. If you pour it into a slender glass, bubbles of carbon dioxide come up dimly, it will also be a nice effect in the beginning of dinner. An appetizer called Zen-sai is a seasonal food served in a small bowl called Hassun or Kobachi in general. Nigori-zake, unrefined sake, is nice sake to drink with Zen-sai. nThe person advanced class of sake drinking is called TSUU which meants a cool connoisseur, and tsuu choose and enjoy the best sake by seasons, such as Shobu-zake(sake including pickling seasonal shobu flower) in May, Reishu(cold sake) such as Nama-zake (without heat pasteurization ), Nama-Chozo-shu” (one time heat pasteurization) in summer, and Hiya-oroshi (mature sake) in autumn, Ara-bashiri(new sake of this year) in winter . You may hesitate to eat raw fish Sashimi, but it is a shame not to eat it while you’re in Japan. Junmai-dai-ginjo( which uses only polished rice, malted rice, and water as raw materials) is a good sake to drink with Sashimi, which has gorgeous fragrance and crispy and dry flavor. If you chill it firmly, dry taste is more outstanding, and it matches Sashimi very well. About Ni-mono, seasonal best food ingredients called Shun are used normally and Japanese are enjoying the season in that way. When the food is put on the dish, it is devised artistically, so that it can be enjoyed visually when it is served. Junmai-shu (sake made without added alcohol or sugar) with room temperature called Hiya, is the best way to drink with Ni-mono. Tepid Junmai-shu is the best to drink with grilled fish called Yaki-mono. Mild taste of Junmai-shu is more outstanding by heat, so that you can enjoy a soft and smooth taste. Please let us introduce you a little different type of warm dish, such as Age-mono (Tempura), Mushi-mono (Chawan-mushi which is steaming cup). These dishes are good with Futsu-shu with Kan (hot sake). Futsu-shu is a standard sake and is very drinkable. Jo-sen Ka-sen Kara-kuchi are recommended.